Anyhow, I have thick hair, so in the winter months after I’ve washed it at night, I pop on my hat and go to bed (yes, I know going to bed with wet hair is supposed to give you a cold, no, it doesn’t actually give you one and no, I won’t hairdryer it as the only times I tried took an hour and it was still damp in places). 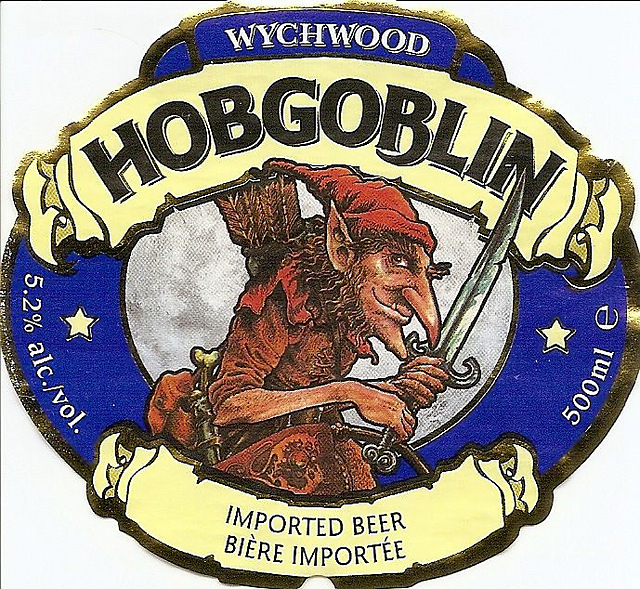 The t-shirt happened to be a Wychwood brewery Hobgoblin T-shirt (the classic ‘lagerboy’ one). After we explained that the red hat was a hobgoblin hat, it was agreed that she would return my green one in exchange for her own hobgoblin hat. Its a bit big, but she’ll grow into it (I know I generally don’t post photos with people in, but I wanted to get one showing the drape and Felix refused to let me put it on anything else!). 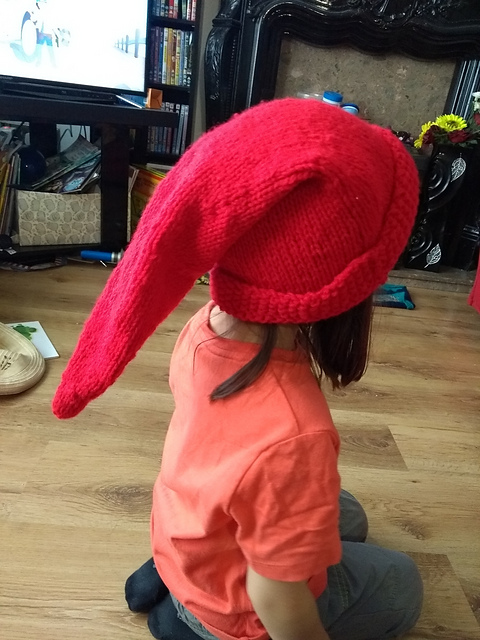 Made using the free pattern Oblio’s Cap by Emily Anna Bingham – very easy pattern to follow, and a pretty quick, simple knit all things considered. Guess what my next knits are? 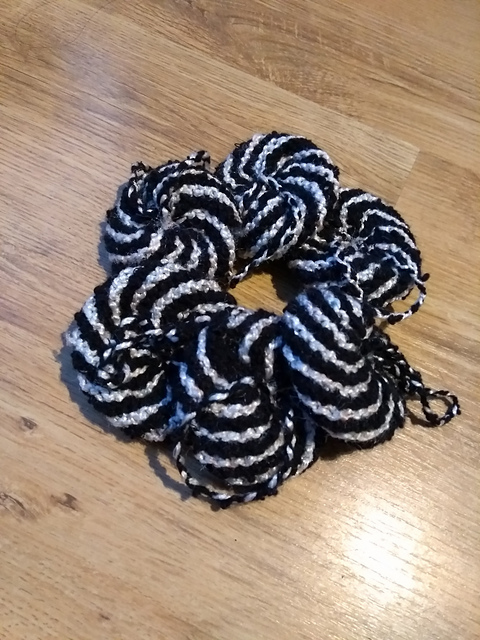 As an aside, last May I posted that I had discovered some Tribbles in my wool stash, and despite attempts of extermination, found more not once, but twice! I love the hat! Its funny where kids take inspiration from, isn’t it? That, and kid logic! Both make me laugh!